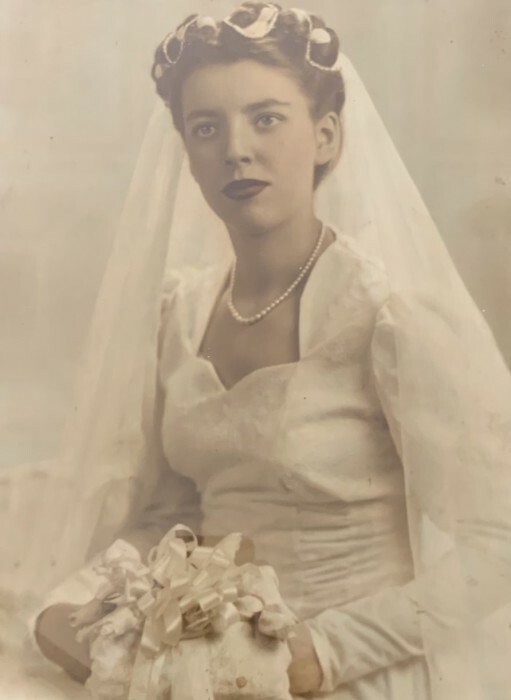 On Monday April 15, 2019 our mother Irene "Honey" Blehi went to be with her husband John “the wind beneath her wings” for their eternal last dance. Left behind to mourn her loss are her beloved children John (Carol) Blehi, Joann Blehi, Judith (Ed) Warchol, Janette Knepp. Her loving grandchildren and great grandchildren, and her sister Helen Altimore. Preceded in death by her beloved grandchildren John and April Knepp and her siblings Andrew and Edward Chope and Agnes Parous. Friends will be received on Monday from 1-8 PM in the Edward P. Kanai Funeral Home, 500 Greenfield Ave. 15207. Funeral Tuesday at 9:30 AM followed by Funeral Mass at 10:00 Am in St. Rosalia Church. If you should prefer, donations may be made to the Children's Institute of Pittsburgh.